In 3rd place is Benefit’s Fake Up concealer*. I was lucky enough to get invited to the launch party back in March where we were gifted all three shades to trial. Little did I know that this would be the start of a beautiful relationship and 9 months on I’m still reaching for the Light concealer every day (and it’s yet to run out!). If you missed my post on the launch party you can find it here and my full review of the concealer is here. In 2nd place is a new found love in the form of the Ambient Lighting Palette from Hourglass. I’ve always liked the look of the Ambient Lighting Powder but at £38 it’s been hard to justify, so you can imagine my excitement when I spotted the Ambient Lighting Palette on the Sephora website just before I headed Stateside. Alas it looked like it wasn’t meant to be when I trawled the whole of San Francisco only to find it had completely sold out. Being a girl who doesn’t tend to take no for an answer I drowned my sorrows at the Cheesecake Factory (as if I needed an excuse for cheesecake!) and headed online to track down a palette in the UK. After tracking down the last 2 on the John Lewis website I had the one in my basket cruelly stolen from me due to my slow internet speeds. So I did the only thing left to do in such a situation and emailed my Mummy. Fortunately she and the fabulous ladies at the Guildford SpaceNK were able to track down the last remaining palette in their Kingston store and had it shipped to the Guildford store in time for me arriving back in England and it’s been part of my daily make-up ever since. Which leads me to my absolute favourite make-up product of 2013… in 1st place it’s Covergirl’s Clump Crusher Mascara. I have absolutely no idea how or why this was missed off of last year’s top products, as this has been my go to mascara for well over a year now. Unfortunately I’ve yet to find a reliable UK stockist so I currently stock up on this whenever I’m in the States but as soon as I do find somewhere that sells it over here I’ll let you know. This no clumping wonder leaves my lashes looking defined and the curved brush makes it quick and easy to coat all your lashes with one sweep. I can’t imagine ever buying anything but the Clump Crusher Mascara such is my love for it, it’s just that good! In 3rd place is HealGel Eye*. I credited HealGel Eye with allowing me to go concealer free on my honeymoon but it was only after not using this for a few weeks out of sheer laziness that I realised just how much of a difference it makes to the appearance of my under eye area. Since adding it back into my routine the skin beneath my eyes is plumper, more hydrated and I’m finding my make-up doesn’t sink into the fine lines around my eyes so much. If you missed it you can read my review of HealGel Eye here. In 2nd place is a fairly new product in my skincare arsenal, Superdrug’s Naturally Radiant Brightening Hot Cloth Cleanser. I’ve only been using it for a matter of weeks but already my skin is looking clearer and more radiant. I’m loving the effect it’s had on my skin so much that i’ve already repurchased another two tubes for when the first one runs out. You can read my full review here. 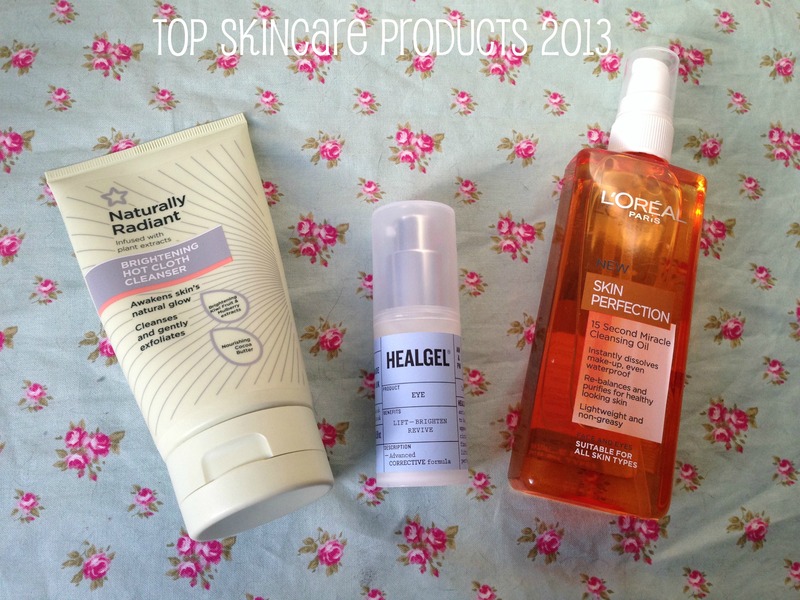 So what has been my favourite skincare product of 2013? This was probably the easiest product to choose as I’ve been using it daily since it launched and have been so impressed with it. In 1st place is L’Oreal Skin Perfection Miracle Cleansing Oil. I’m a huge fan of cleansing oils in general as I find they tend to be the best for cutting through make-up and grime without being too harsh for my skin. This has overtaken both MAC Cleanse Off Oil and Shu Uemura Classic High Performance Balancing Cleansing Oil as my go to evening cleanser and the best part is it’s so cheap in comparison! I honestly can’t rate this product enough and feel no matter whether you’re a seasoned pro with cleansing oils or an absolute newb you must try L’Oreal Skin Perfection Miracle Cleansing Oil. 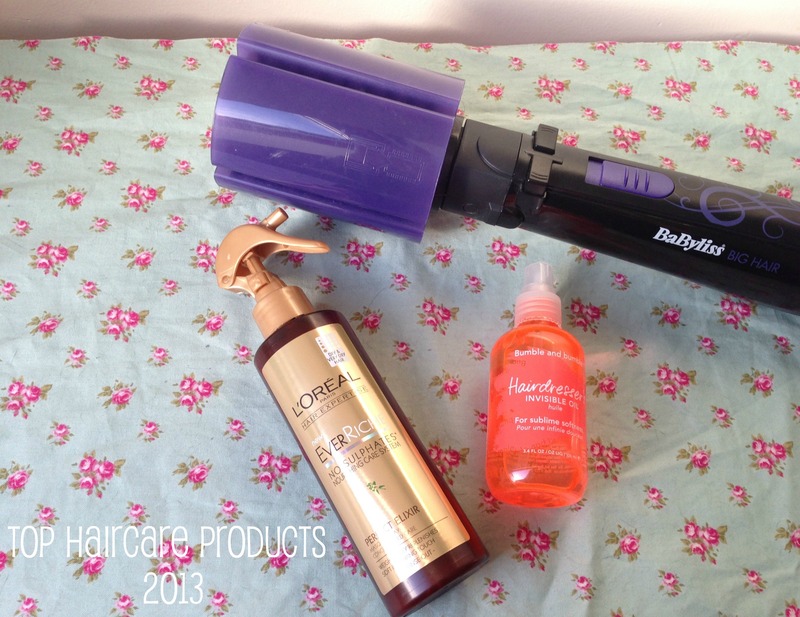 In 3rd place is my wonderful Babyliss Big Hair Styler. If I’m honest the Big Hair Styler probably deserves to rank higher, it’s just even with it’s ease of use I’m lazy when it comes to my hair. That said whenever I do use it I’m back to being crazy in love. If you’re a fan of big, beautiful, blow-dried hair but struggle with controlling both a hair-dryer and a brush at the same time then this styler is for you. In 2nd place is a product that I used to visit in Boots every time I washed my hair, it’s Bumble & Bumble Hairdressers Invisible Oil. Fortunately Mike took pity on me and bought me my very own bottle for my birthday and it’s been keeping my flyways in check ever since. I just love how lightweight this oil is and the way it instantly softens my hair. It’s also been fab for wearing on wet and windy days to stop my hair getting tangled. Sure it’s a tad pricey but you need such a small amount that I’m sure one bottle could easily last forever. For those that read my blog regularly, 1st place will come as no surprise. It’s the one and only L’Oreal EverRiche Perfect Elixir Masque Spray. I raved about this masque earlier this week in my Perfect Elixir Masque Spray review so there’s really very little left to say except I’ve just discovered Boots have it on offer here at the moment. 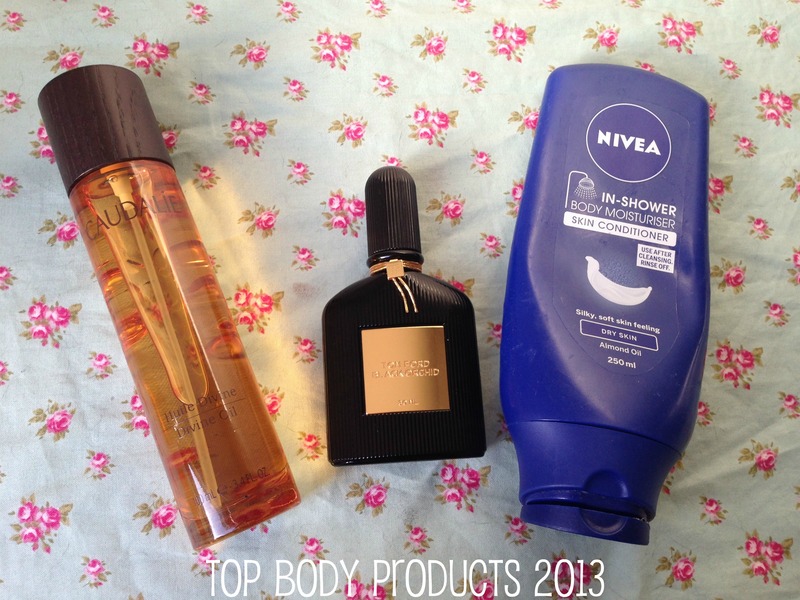 In 3rd place is Nivea In-Shower Body Moisturiser. I love the idea of this and was thrilled when it finally came to the UK and have religiously used it year round to leave my skin soft and smooth. That said, I would have scored Nivea In-Shower Body Moisturiser a lot higher had it not been for the frustratingly difficult packaging which means it’s a struggle to get the last 3rd of the product out of the bottle. Nivea if you see this please add a pump to the bottle! In 2nd place is the multi-purpose wonder that is Caudalie Divine Oil. The scent alone of this product is quite literally divine and is always the first thing I reach for when I’m in need of a little comfort. I never travel without a little bottle of Divine Oil as there’s just so many uses for it from hair oil to body moisturiser and even nourishing my cuticles. A little goes a long way and a year on I’ve hardly made a dent in my big bottle. Now I know I’m stretching the boundaries slightly by classing my 1st place pick as a body product, but you do use it on your body so I’m going to let it slide. 1st places goes to Tom Ford Black Orchid EDP. This has got to be the best fragrance ever. Sure it’s pricey but who cares when you smell so damn amazing. Everyone will want to know what you’re wearing, though be warned as it’s a unisex scent so there’s every possibility you’ll bump into your ex and discover you’re both wearing the same scent…yeah that wasn’t wouldn’t be awkward at all! 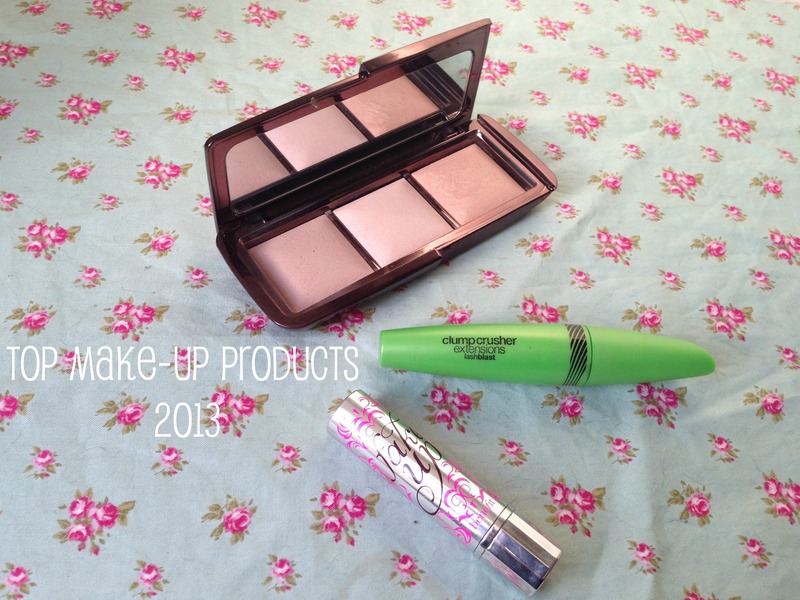 What have your favourite products of 2013 been?